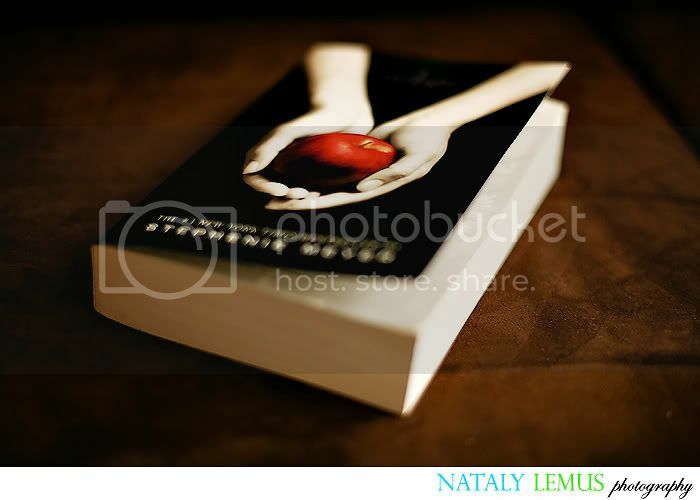 For over a year, since the first Twilight movie came out, I've wanted to read the Twilight books. I never did, though, because they're books for teenagers. Is that bad? No, I guess. I just could not picture myself reading it while my 15 year old sister reads books that are oh-so sophisticated and mature :/ Books so intricate you need a dictionary on the side to help you read through it! Well, I finally gave in! Actually, Art made me give in. He gave it to me as a stocking stuffer for Christmas. I have to say that I was pleasantly surprised. After all, I read all of the Harry Potter books and love them all! I've heard many great reviews for Twilight. Whether it's literature for teens and/or adults, I don't know. I guess I will make my own decision when I'm done reading the first book. Have you read it? Tell me what you think! I started the first book when I was pregnant on bed rest, and literally read all 4 books in 4 days. I couldn't put them down (granted I had not much else to do! ), but I loved them. They were an easy read and kept me entertained. :-) Couldn't ask for more!